A couple of months ago, the ever so adorable Susie Q with her chi chi blonde pixie cut, wrote a post entitled "object on a stick" that grabbed my attention. 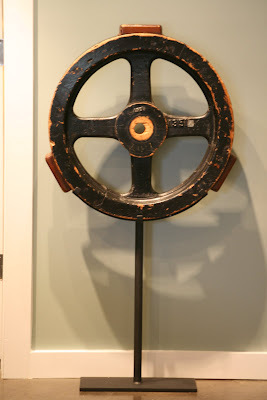 You see, I too seem to gravitate towards anything mounted oh-so museum-like, especially if it is a found object. Preferably with numerous signs of age and use. I love the idea of elevating the everyday to something special. Something that screams "look at me!" Literally a way of taking trash to treasure. So there they are, Susie, my things on a stick! Anyone else have a "thing" for objects on a stick? Got any of your own? I'd love to see them! 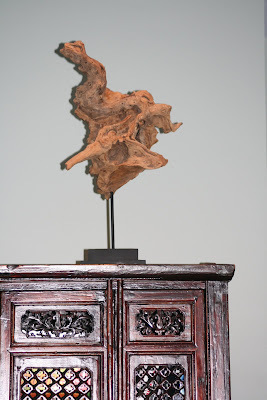 By the way, if driftwood is your "thing," check out this great post by the lovely Lauren over at purestylehome. I am so with you! I cannot claim to have as good a collection, but the few things I have are treasures to me. I love taking something to the next level as well, and especially using something in a way never expected. Great post! I didn't know I liked "things on a stick" until NOW... now my brain is busily trying to think of things I'd like to see mounted like this. Nice idea! Oh NKP, your objects-on-a-stick are just plain fabulous!! 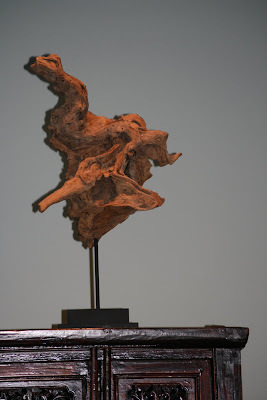 The driftwood is so much better than any manmade sculpture could ever be. I totally covet it! And your foundry piece is so elegant. What great found objects. I'm going to do a shout out to you on eye spy -- I want all my readers to see your collection! Love it! And girl, I got two words for you, Cheshire Bridge. Scary bit of roadway, but some seriously good junk to be had. 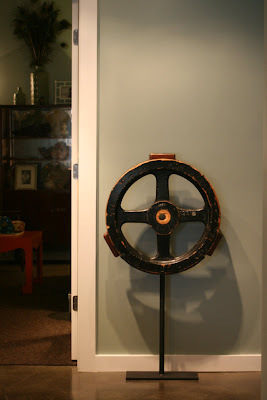 You have the most amazing objets d'art - I would love to see your house. I must plan a trip to Atlanta soon to see you and Miss Susie Q.